Here are the first five palm free recipes that I soaped today! 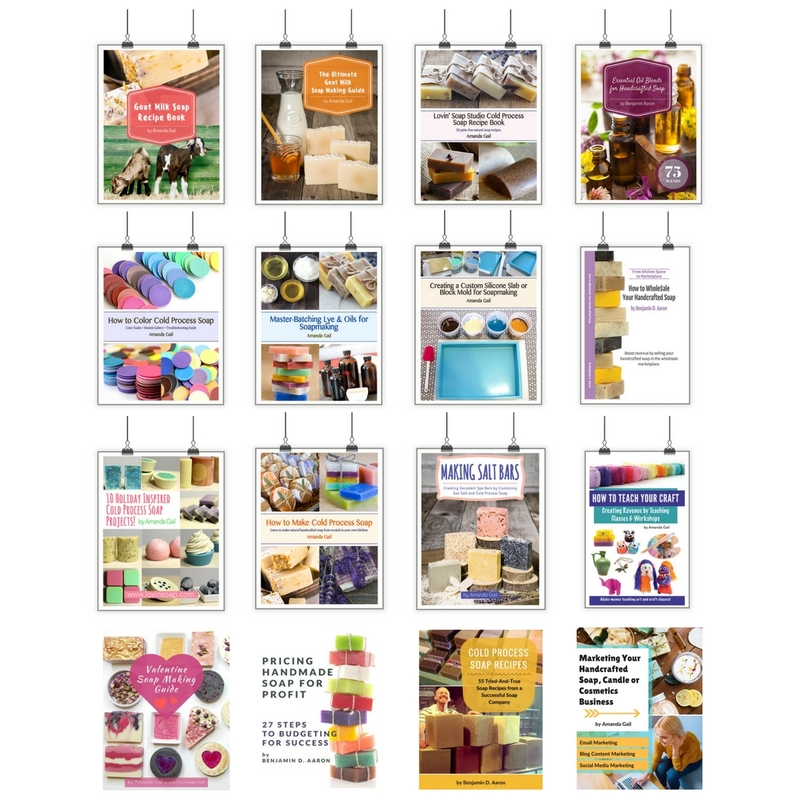 Some of them are recipes that I’ve soaped before and love…some are new formulations. 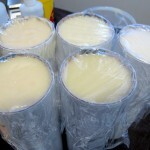 I poured these into the tubes with liners and all of them gelled. Gelling the soap does make them harder when unmolding. UPDATE: This blog post is old and I never got responses from testers due to me moving and life in general. If you are starting out in the search for a palm free recipe, these are great to make and test. I also have tons of palm free recipes on my blog if you click the ‘palm free recipes’ blog category. Rogue, what about Shea butter, it is high in stearic acid. Let us know how you make out, I’m interested in shaving bars as well, not for sale, but for my brother and BF. So the one thing I’m still struggling with is replacing stearic acid. I can’t seem to find ‘non-palm’ sources. None of my recipes have any Palm in them, unless you count babassu. I need the stearic for shave soaps & cream soaps. Anybody have a thought? I don’t thi the capacau butter is a option in shave soaps. Hi all! This is a really old post. As far as ‘the whole experience being useless’ – that’s just silly. Do your own experiment. 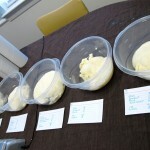 No matter how I describe these results or ‘tell’ you how the soap came out, nothing beats doing the recipes yourself. I am completely palm free to this day and all of the recipes on my blog (and there are plenty) moving forward are palm free. If you are new to palm free soaping this page gives you some ideas on what to start with. 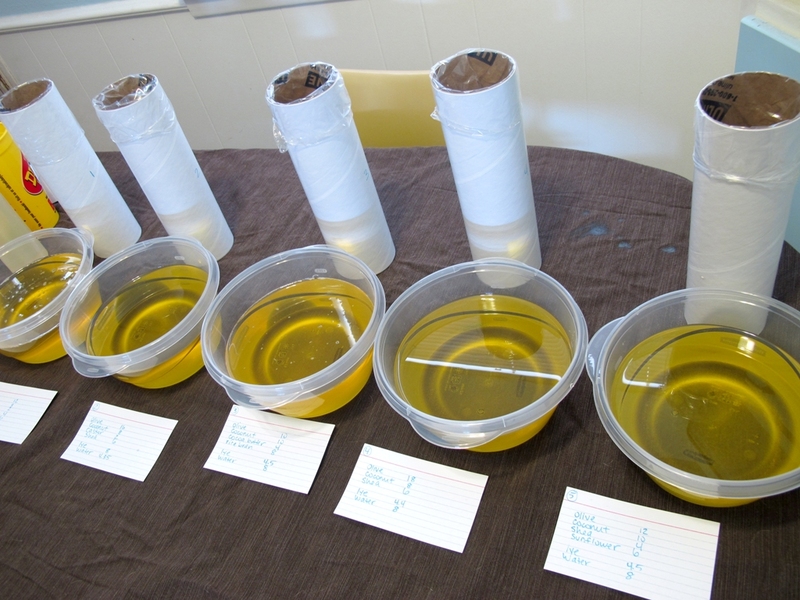 this whole experiment is pointless unless there is feedback or comments from the formulator for the results of the end product soap i.e. how they feel, rancidity, foam, pH etc. We must stop soapers using palm oil, but if they are not encouraged by positive results they will not change!! Hi Mary, I agree. I’ve never heard anything from the author of this page on palm free soaps (I’ve subscribed) but I am always sharing it . Got alot of crap too in response from soapers groups on fb. We each must do our part. There will always be ignorant soapers, but there are many doing the right thing too. 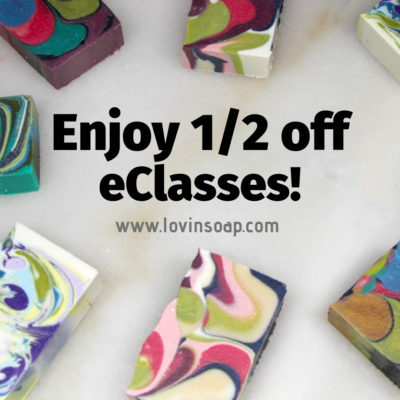 I have over 60 palm oil free soap varieties. So now I have my base formula I mix up in 18kg amounts at a time. Palm oil is just not necessary! Ashraf if your palm oil is obtained locally, you know it origin, what the impact was & it was economical then I’d use it if you are comfortable. If I was in Costa Rica I’d be all over the palm locally if I knew it was using former banana fields and not needing to clear new land. 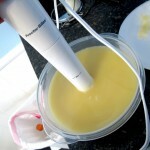 I am going to test your recipe 2. Do you have already any feedback? I’m curious to know what your testers thought also! Please let us know! I am looking to start making soap so this may be a stupid question, but…when you say rice bran, is that an oil or dry ingredient? Pen.. thanks so much. I always make goats milk soap! so this is double exciting! Thanks!!!!!!! I’m back with my master soap recipe. I have tweaked this recipe and its perfect for me, traces quickly, so if you want time to swirl etc then add sunflower oil instead of rice bran. this makes 1kg of soap, multiply as needed. I would love to hear from your testers as well! There are loads of us looking to get off the palm go round. 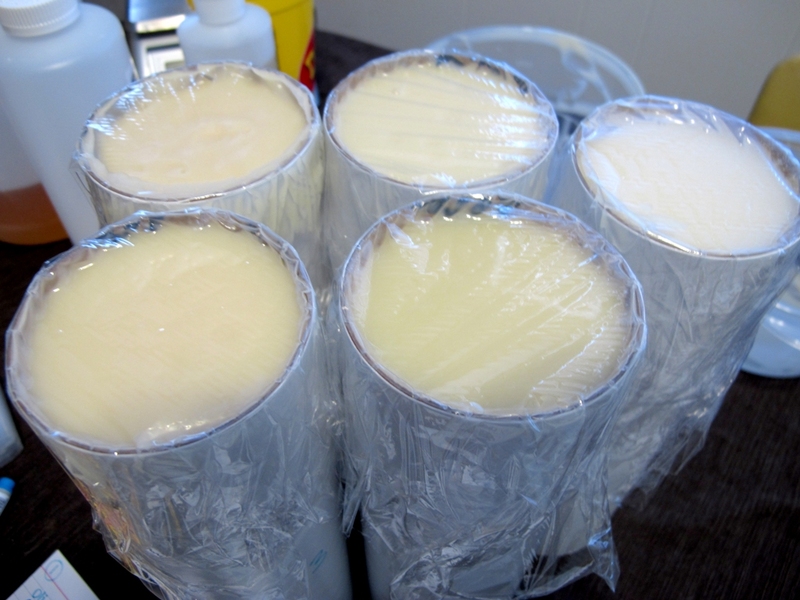 Please let us know which ones work without gelling, as I often make milk based soaps and try to stop them from doing that. Hi Lynn, I shared this page around the soap makers groups and it was very appreciated, as people are looking to be more environmentally conscious particularly for the orangutan situation. I make dozens of different soap varieties and I have never once used palm oil. I make milk soaps too GM, coconut, buttermilk etc. they all want to gel, but I put them in the freezer as soon as I’ve poured and leave them there at least 10 hours. (I left one for less time and it actually partial gelled after I took it out!!) 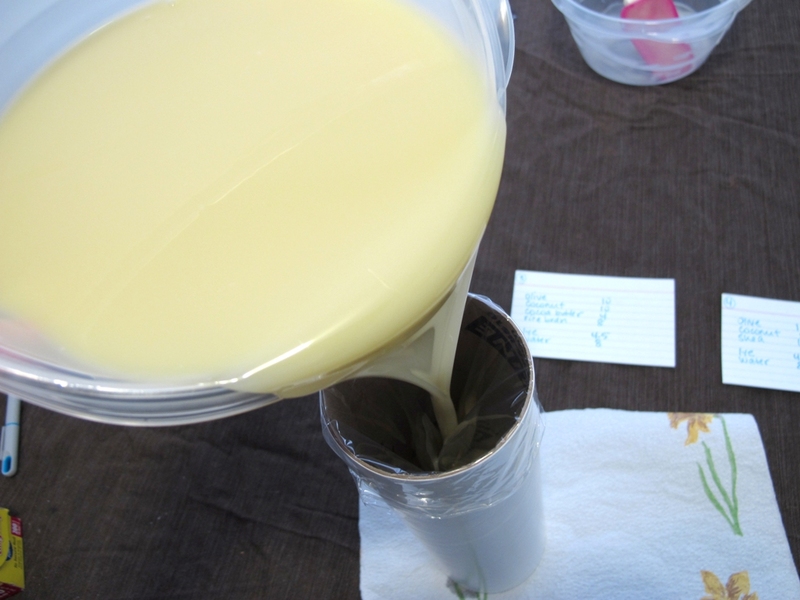 as you know milk gets extra hot, so if you make ice cubes of goats milk etc and use that instead of straight out of the carton, that keeps the temp down. and place your lye bucket into the sink half filled with cold water and ice packs while cooling. I, too, am a soaper who is trying to craft a quality soap recipe without palm oil. Since your original posting of these five palm-free recipes in June of 2012, I’m wondering what the overall feedback (positives and negatives) from your testers has been? If you wouldn’t mind taking a minute to fill us in (rather than having to run my own tests from scratch and wait for results 🙂 ), that would be awesome! Thanks!! Hi! I’m new to soaping, but #2 and #5 sound good to me. Thank you for providing vegan recipes without palm oil/Crisco, I have been searching for days! At trace, if I’d like to add essential oils, how many ounces would be enough to have a medium-scented bar? Not too mild, but not really strong either as to irritate some peoples’ skin.. I would also NEVER use canola, soy or corn oil in any recipes. Using shea instead of palm and very happy! 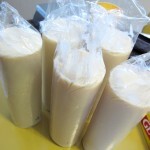 Hi Lavi, The soap recipe is a 2 pound batch which will yield 8 or 9 good sized soap bars. You can add 2 ounces of your extra oil (almond or jojoba ) or a combination of the two) oils at trace .You can also add essential oils ( lavender and tea tree are both good for exczema)at trace too 🙂 I hope this helps you . been waiting anxious for results. anything anything??? Thank you SO much for these recipes. I am hell bent on not using palm oil and have also replaced emulsifying wax with an olive wax. I have spent hours looking at you tube and recipes only to see palm oil ingredient yet again. Im looking to make an avocado oil soap, I will try it with one of these. i have run out of cocoa butter but do have shea, but like some have commented it is so expensive, so getting a recipe is difficult, I am a beginner with modern CP soap. Hi, just wondering if anyone has reviews on the sop/recipes from above. I’m new to soap making and do not want to use palm oil and animal fats. I would love to hear about anyone’s experiences with the above recipes. I am also new to this site and a newbie to soap making. Will be making my second batch this weekend and still haven’t found just the right, tried and true recipe. The first batch was with only olive and coconut oils but I’m worried it may end up to be a bit drying on the skin. The ingredients I have on hand to choose from for this next batch include: olive oil, coconut oil, rice bran oil, coca butter, shea butter, and anything else that I could easily run and pick up at the store (i.e. 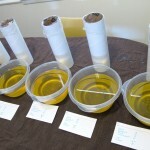 canola, almond, or avacodo oils). Any word yet on the reviews of these five recipes? Have you tried soapcalc.net? You can tweak your percentages up or down for more or less cleansing and conditioning. Also you can order fats and oils from soaperschoice.com for way better quality and price then retail. I also make a shampoo bar with the same ingredients only I use 20% for all fats and oils. Best shampoo I have ever used. I actually prefer to use no animal based oils in addition to no palm, thanks though. Anyway, my soap ended up great and I used olive, coconut, ricebran, and canola oils, and also cocoa and shea butters. Next time I will omit the canola and use much less of the butters. Hi Amanda, I am writing a post for my personal site on the formulations of palm free soap. I request your permission to post their five recipes that are on your site. Is it possible? I will make an analysis of cost impact comparing to traditional soap with palm. 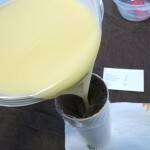 I use beef tallow or lard and a combination of both in my soaps. The soap is luxurious. I have had people tell me it is the best soap they have ever used. Plus lard and tallow are inexpensive and sustainable. I also make a laundry bar with 50% lard and 50% coconut. I use that bar to make liquid laundry soap with washing soda and borax. This is the best laundry soap I have ever used. I am new to this site and was wondering where we could find the reviews for the recipes? I would love to read them. Hi Amanda and Soapers! I;m going animal and palm free. Even using more essential oils and much less fragrance oils. No one has mentioned the horrible conditions coming from the slaughter houses in lard and tallow manufacturing. Who wants that negative energy in their soaps?! The poor animals are at our mercy. Even plants have live energy but they are not brutalized. Love your work here and thank you for teaching/sharing! Can help me understand the gel stage of the soap is predictable, necessary should/ has to be or be avoided? I am a beginner an the subject keeps coming up, but is not explained. Do you have any conclusions yet on all the batches you made without palm? Lather, moisturizing, feel. Thank you so much for all the palm free recipes. Now I see you have 5 new recipes, I read the post and from all of you testers, which one or two do you find the best one. The suspense is killing me. lollllll Cant wait to start using your recipes. Thanks so much for sharing! I am new to soapmaking (just made my first batch last night; I peeked this morning and it looks to be a success!) I had heard about the palm oil controversy but bought a small amount of so-called sustainable palm oil, despite feeling a little uneasy about it. After reading a little more on the subject, I have decided to steer clear of palm oil in the future. The stuff I ordered may be perfectly ethical, but I can’t be sure, and don’t want to inadvertently contribute to deforestation, orangutan habitat destruction, etc. As a vegetarian, I won’t use tallow, so I am so thrilled to try recipe #2 and 4! Thanks again for the recipe and for the enlightening palm oil article. How interesting…. Have you the results of your test? So which one was everybody’s favorite? I am not a volunteer tester, but I have made recipe #4 twice now – love it. Just the right amount of olive oil for me. Its the first recipe (newbie here) I tried where I began to reduce water and increase lye solution. Made a huge difference in curing time. Any updates as far as which recipes were liked the best? Hi there! I too saw postings on FB today regarding the horrific effects of using palm oil & its derivatives. I am interested in finding a palm free melt & pour soap base. Is this something you could provide, what are the bulk quantities & price ranges? I just learned about the effects of palm oil on the environment and the orangutans today. I am so heartbroken. I have about 35 lbs of organic palm oil left and then I am done ordering it. I am NOT going to start replacing it with cocoa butter, shea, or olive oil. These are triple the price of palm. My bars are already 6 or 7.00 each because I use organic oils. How much are you all charging for a bar or palm oil free soap? The soap market is already VERY competitive with people selling a bar of soap for 3.00. I have been in business since 1999 and have seen A LOT of changes. I am willing to change to a palm free recipe but I am needing to do a lot of research to go over to a different oil that is economical or at least not triple the price. Is anyone using anything else? What about palm kernel oil? Does this have the same impact? I was about to say stearic acid but this is also derived from palm oil. I use stearic acid in my lotions! AWWW! This is the worst news. I wish I had ZERO conscious sometimes. But, I can never buy palm oil again and sleep well. Does anyone have any suggestions? Please. Hi, Colleen. I recently learned that you can sub Cupuacu butter for stearic acid. As a bonus it smells divine! I get mine from Ingredients to Die For. which recipe (#1 – 5) is your new palm-free favorite? Out of curiosity, could you tell me what percentage of water as a percent of oils you use for these soaps? Thanks! I don’t calculate water like that. I typically do 1.5 times my lye or in this case…about 2 times when I’m testing new recipes or design techniques. You can use whatever regular lye/water calculations that you prefer. 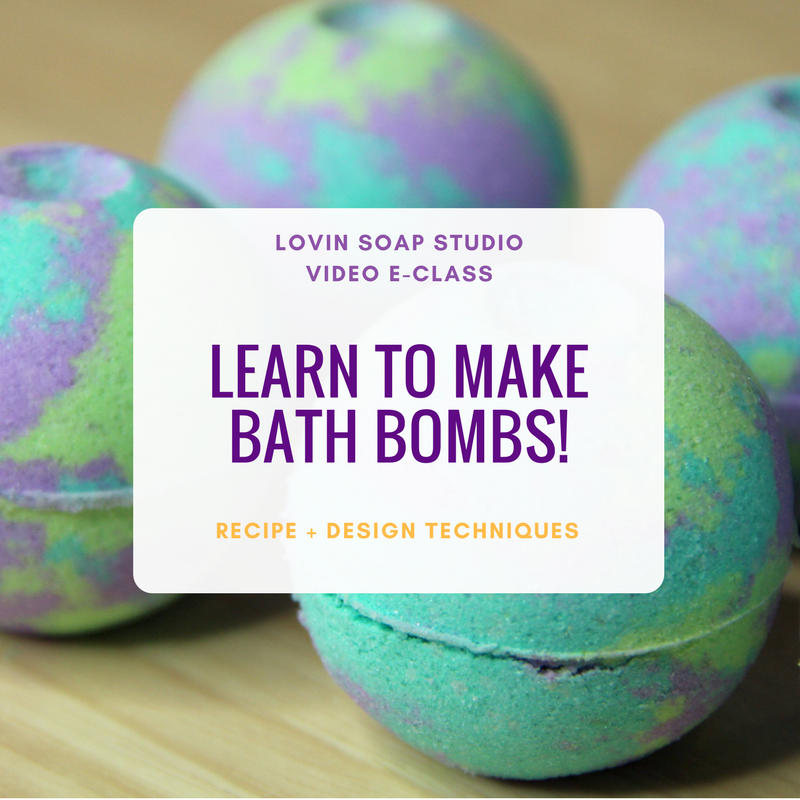 I am anxious to see how the hardness and bubbly factors are on these soaps. 🙂 As a soap maker and soap user I really grow weary of all the “non lard” and now “non palm” soap comments. What’s next olives? And for hardness you have to use a lot of coconut (drying) or shea (expensive) or coco butter (expensive). And will people want to pay the premium price? Not where I live. Nothing on the planet makes a better soap than lard with all the trimmings. 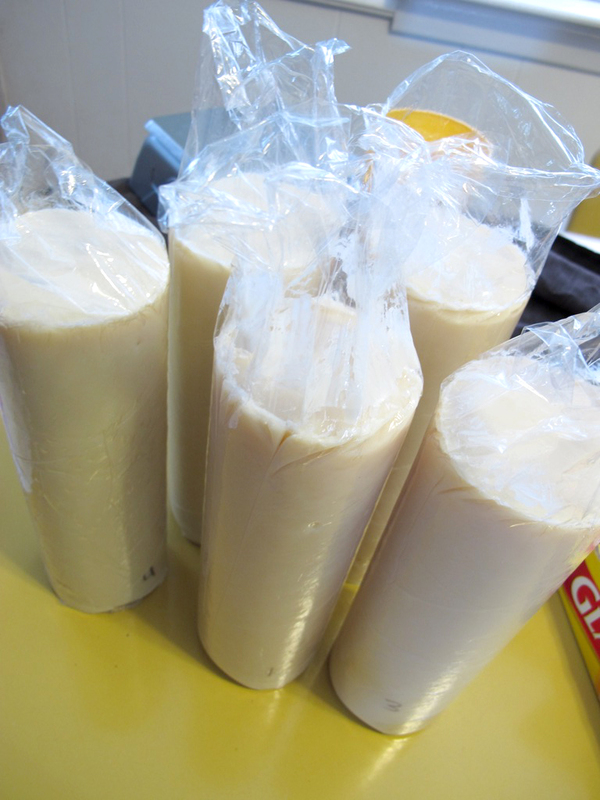 And like it or not, lard is a waste product that is being put to a good secondary use. 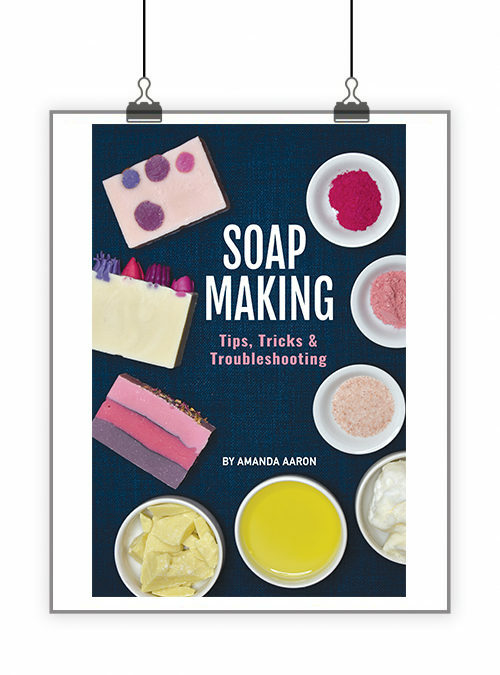 Can’t wait to see how your soap experiment turns out. Louisa, I also use all vegetable oils in my soaps. The only animal products I use in any of my products are beeswax (though not in my soaps), honey and milk (mostly goat milk). 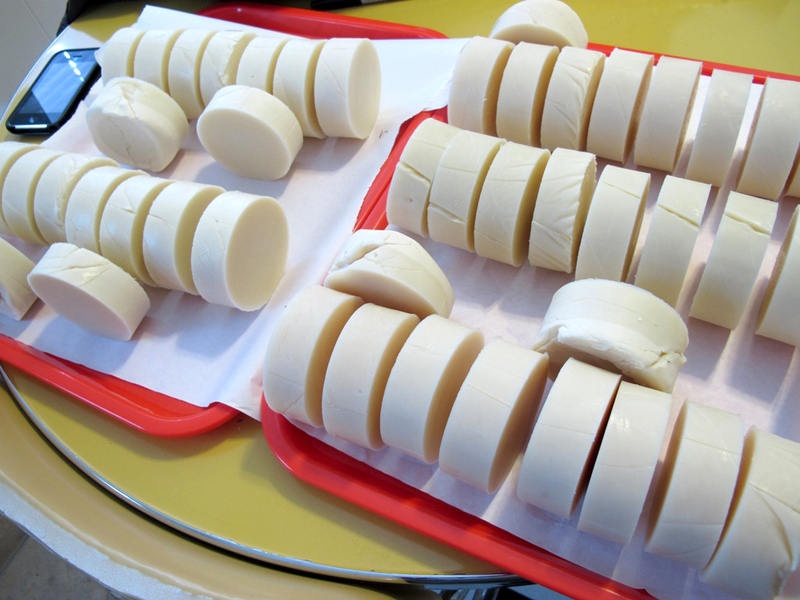 There are many reasons for not using animal fat in soap. I have an herbal company, so it makes sense for me to use plant materials in my products. Many people choose to avoid meat or animal based products in their diets and carry that over into other products they buy. Often, these customers will look for companies that only sell animal free products. I’ve never heard of a customer specifically looking for soap that contains animal fat, so a soaper isn’t likely to lose customers by not using animal fat in their soap. 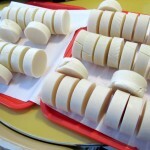 Some soapers mistakenly feel that since animal fat is supposed to be so bad for us, it’s bad in soap as well. Still others just prefer to use all vegetable oils. 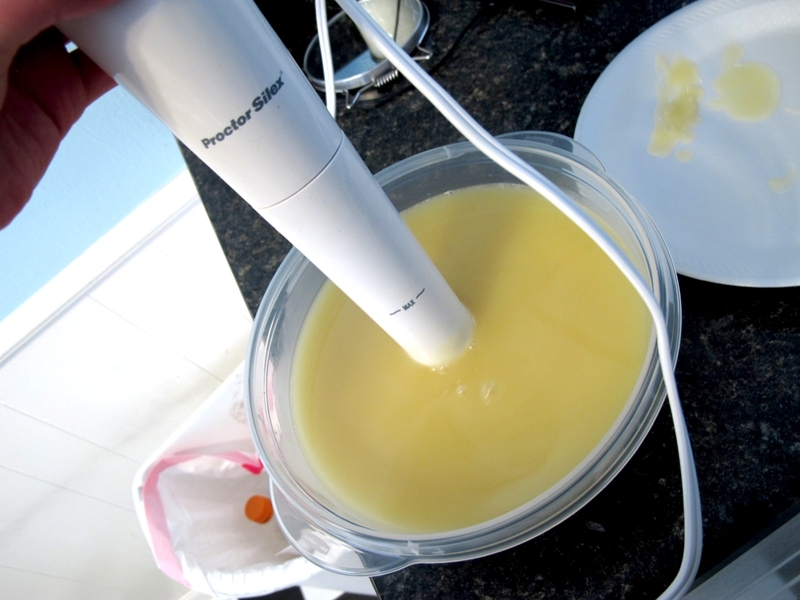 There are also many reasons to use animal fat. For you, it’s a byproduct of your farm. It’s available, why waste it? 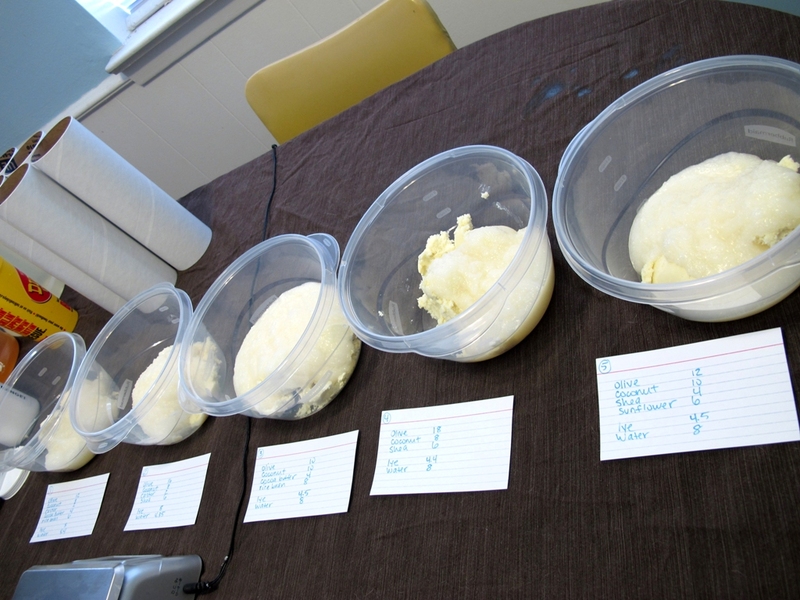 It’s also a fact that in a properly balanced formula, animal fats do produce beautiful soaps. 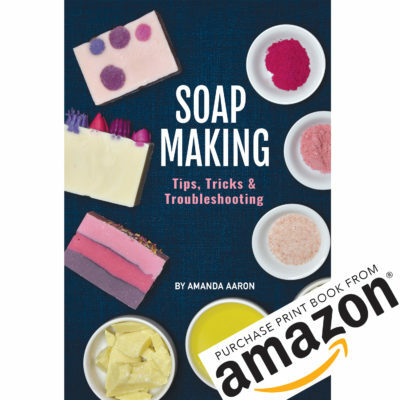 Animal fat can add hardness to a soap, and am I right that it can boost cleaning as well? 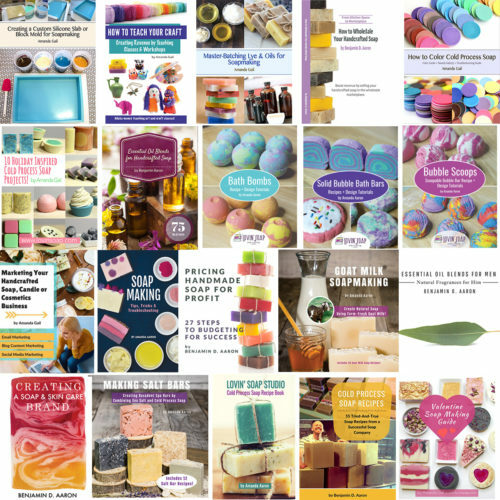 I would love to try some of these soaps. 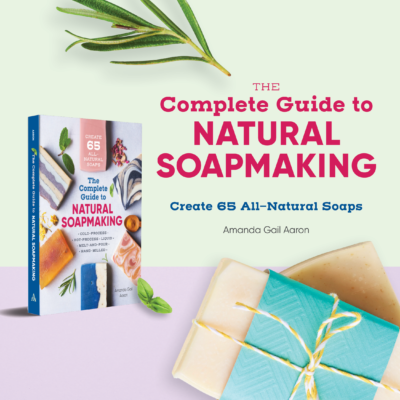 I am an avid cold process soap maker … and incredibly until a month or so ago was never able to use any of the soaps that I have made because they all had palm and low and behold … I am allergic to palm oil as is (it turns out) most of my family. I just made a Sea Salt Bar that is 75% coconut, 25% olive oil and 50% of the weight of the oils in fine grain sea salt. i superfatted it at 15% and find that it is a very lotiony like lather that i absolutely love !! it is not at all drying to my skin and that’s great ! but since sea salt bars harden so quickly i have trouble having the fun of swirling etc so want to try a few recipes without palm that i can play and be creative with. Care to share that “lotiony” bar recipe? Sounds too good to be true! It look as though you have enough testers so please keep the posts coming as to which ones were liked best. Can’t wait to hear the results. If you are still looking for folks I promise to give it a workout comparison to palm soaps. I am a big fan of a tiny bit of palm in a recipe. Most the Vegan soaps without even just a bit that I have tried seemed mediocre. I would love to figure out a way to do with out myself. I try to buy ethical but you really never can be all that sure about it. Hi Amanda, I am curious as to why you are steering clear of all animal products. I can understand not using palm oil, but don’t understand not using tallow. I am a tallow soaper, but the tallow is a by product from our farm, and I think it makes a beautiful bar of soap. I cannot MAKE myself use animal by products in any of my cosmetic recipes at all. The thought of dead animal parts makes me feel sick 🙁 I am totaly against the mass production of animals for food in the USA where so many people are over weight and have heart problems from too much red meat. too!~ AND I have seen how they are treated in mass production too..Sickening! I will stick to my vegan -ness 🙂 I too am working on palm free soaps:) thank you for the recipes and ideas . I would love to be a tester if you still need one. We met at the meeting in Round Rock. I appreciate all that you taught there. I am with you, Louisa. If I am eating this animal we raised, and they’re just going to throw it out, it goes against what my tribe taught us. Wasteful. If we hunt for our meals, same thing. I’ve used wild boar also. I do not agree with corporate animal farming, but if I pull down a wild boar that is threatening my property (and they do), no need to throw away any part of that animal. The bars make excellent shave soaps. Hi Amanda. I would love to test. I have taken your class and live in the area. Let me know. Love your choice. I would love to have volunteered to test but i live outside of the USA. I realise lots of folks using Rice Bran Oil, any particular reason? for a couple of years and love it. Thank you for all the information, it’s a big help! I would love to be a tester! I’ve never used rice bran oil and generally use palm oil in my recipes (went to the conference @HSMG by Bill Shay and it gave me peace of mind) but I’d love to try some alternatives. All my soaps are palm free thanks to Marla and they are more conditioning than most palm soaps because of the Shea and coco butter. Amanda – thank you! I’ve been struggling with this too. Thank you for tackling it! I’ll gladly do some testing if you would like me to – I have a slightly different take on it though. I’ve cut out coconut oil completely – couldn’t figure out why I couldn’t use my own soaps that other people loved! Turned out it was the coconut oil. As soon as that was out, I was fine and I have quite a few customers who have “revisited” my soaps and found that they can use them now. 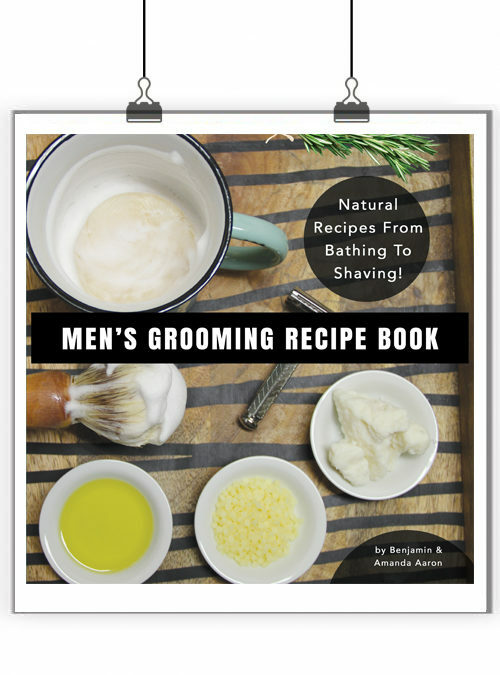 I replaced the coconut oil with babassu, but still use palm and palm kernel. I’d LOVE to get away from them, but I generally don’t use too much cocoa butter because it’s fairly comodogenic, so I use shea instead with good results. Making those changes hasn’t been cheap, but people with skin challenges understand and are happy to pay for something they can really enjoy. I agree with you about staying animal-friendly, so I won’t use tallow or lard. I have no idea if palm-free without coconut oil will work, or if anyone is interested in any results without coconut oil. But you’re giving me the push I needed to give it a try! Thanks so much for inspiration Amanda! Thanks for sharing some of your recipes. I actually use recipe#2 and on occasions will add a 5th oil and more water. I like the idea of using less water for a faster gel. What I’m having a problem with is my soap reaches a trace within a few minutes (3-5mins) not allowing time to add additive, color or make pretty soap :). Do you know why this happens? I WOULD LOVE TO TRY SOME OR ALL>>>>:) tell me why palm free..I have peeps ask me for coconut free all the time but no one has said any thing about palm and that is what I use to make coconut free soap? I am so with you Karen, I started soaping a few months ago and of course using palm oil, but when stared researching and reading about the oranguatans habitat tears were flowing down my cheeks, enough with the animal torture, what is it with those people around the world. So as you can imagine, had to research again for new palm free recipes. Thank goodness for Amanda, so yes I am definately spreading the word. Wonder if it would help, but I do what I can. Okay I think I have enough testers now! Thank you so much everyone! I’d love to be a tester! I’ll be going palm-free, soon, too. I was thinking of transitioning to 100% olive oil, but it’s pricey! Awesome, Kim! Thank you! I’ve got you down!! I would love to be a tester! Thank you! I’ve got you on the list! You were my final push, Marla! I, too, like the looks of the recipes that include shea. I’ve only used cocoa butter once, but have shea in all of my bars (except castile). Will be exciting to see (and feel!) the results. I’ve got you down! Thanks! 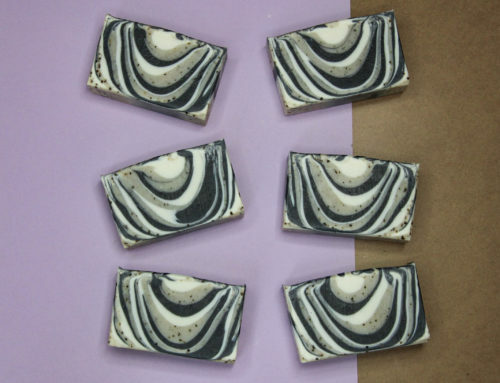 One of my my soaps is very similar to recipe one. The only difference is that I use canola oil instead of rice bran oil. Its a very hard cleansing bar. Sada, I have never tried canola oil. I will have to one day. Canola oil causes blindness….be careful using this one. What?? where did you hear that?? ?I have never heard of canola oil causing blindness.especially in soap!! ??? I am sorry to say that Canola oil consumption causes eventual blindness. I would not want that product in my soap. Research it…its online and the mainstream media will never let u know. I am sorry to hear this, but, I have doubt in what you are saying, I do not use canola oil in my soaps, but for sure will make some research and hopefully, without being bad, will say, I knew she was wrong with this statement. The link you sent me regarding canola oil is written and funded by Agri Canada. Any study funded by the very organization that makes the product is not to be trusted. Canola causes blindness. It is GEO ENGINEERED!!!! I find as many sites that say canola is bad as say it is good. I have never used it my soap anyway but hope it is incorrect for the sake of all who do. I bet you didnt know that fluoride causes brain damage. It is banned in many countries. They put it in our tap water and not for our benefit. If you believe I am wrong… sorely mistaken. Serafina – since you’re the one making this claim, is it upon you to prove it. Not upon others to disprove you. I know this response is a year old but…canola does not cause blindness and it is NOT genetically modified (Source: Health Canada, “Low Erucic Acid Rapeseed (Lear) Oil Derived From Canola-quality Brassica juncea”). It is crossbred, which is a natural practice dating back thousands of years, to nearly eliminate erucic acid which incidentally has never been shown to negatively affect human health in the first place (Source: Food Standards Australia and New Zealand, “Erucic acid in food: A Toxicological Review and Risk Assessment”). As the one making the claim, the onus is on you to provide evidence of your claim, not on me to dispute it. I have yet to see a source from you. Find facts on fluoride. It is brain damaging and there are many studies to prove it. It is banned in many countries. If you find a site that disproves this… it is pure propaganda. Thanks, Heather! I’ll add you to the list. I like the looks of recipe #2 and #5. How long did they take to unmold, and how do they feel in terms of hardness? I am going to try these to see what I think, I started off “palm free” and made a decision to use ethically harvested palm oil because I was spending so much on cocoa butter, but if I can somehow tweak my recipe to include shea instead then it may be doable, as I am already using about this much shea in my soap. Have you tried avocado oil? I haven’t but thought it may be a good addition. I like your palm free recipes better than the ones I came up with, as yours are much simpler and I had like 10 oils going on to try to recreate the exact properties of the recipe I am using now, and God knows I would forget to add one of those – 10 is way too many, 5 is a much more manageable number! Hi Amanda, because of the water discount and because they gelled…I unmolded them and cut them about 8 hours later. They are plenty hard at this point. The un-gelled version of each are still very soft. I’m with Amanda…I use avocado in my formula and love it! Would love to leave out the Palm, and might try a batch without it to see how it does. Currently using coconut, olive, palm, avocado and shea butter. I don’t gel my soaps, though, if I can help it, but let mine cure for 6 weeks. I see people referring to ethical or sustainable palm oil, for the record there is no such thing. Palm oil isn’t traceable and won’t be traceable until at least 2020, at which time will no doubt leave the oranguatans extinct or at the brink, please try not to use ‘vegetable’ palm oil for anything if you’re concerned at all about their plight. Thank you so much for posting these non-palm recipes, I’m looking forward to everyones feedback so when I try to make some in the spring I will have a better idea which will work best.